This two-day program is specifically designed for Urology Chief residents and fellows interested in learning the state-of-the-art in robotic surgery for kidney, bladder, adrenal and reconstructive urologic procedures. Live surgical procedures and honest discussion of the strengths and limitations of robotic techniques will be offered. Our ultimate goal is to allow attendees to gather the information necessary to consider the role of robotics in their future careers. This program is offered free of charge, including registration, meals, and hotel. To register you must provide a credit card. A charge of $250 will only be assessed for “no shows” or cancellations within two weeks of the course. An informal reception with the faculty will follow the didactic portion of the program on Friday. Those residents participating in the hands-on portion of the course on Saturday morning will be finished by 11:30 a.m. Registration is limited, especially for the hands-on dry lab and simulator program, with preference given to chief residents. We will have a waiting list in the event that registration fills, so please plan to register early. Individual residents or his/her program will be required to cover cost of airfare or automobile travel to Columbus, Ohio, and make those arrangements independently. Hotel accommodations will be covered by Ohio State at double occupancy. Attendees will be assigned a roommate for their stay at the discretion of the meeting planner. Registration Deadline is March 28, 2017, in order to be guaranteed a room reservation. Registration may be available after that date but you may have to make your hotel accommodations independently and the cost would not be covered by The Ohio State University. Travel to Columbus is the responsibility of the individual attendees. The Ohio State University is not responsible for travel arrangements. Please confirm course registration prior to purchase of airline tickets as registration is limited. Hotel arrangements will be made for you courtesy of The Ohio State University. If you need special accommodations due to disability, please contact Tracey Pierman at 614-366-0864. Hotel information will be made available to you after registration is complete. It is recommended that you use John Glenn Columbus International Airport, which is a 15 minute taxi ride to the hotel or the OSU Medical Center. The course organizers gratefully acknowledge the generous educational grants from our corporate sponsors. 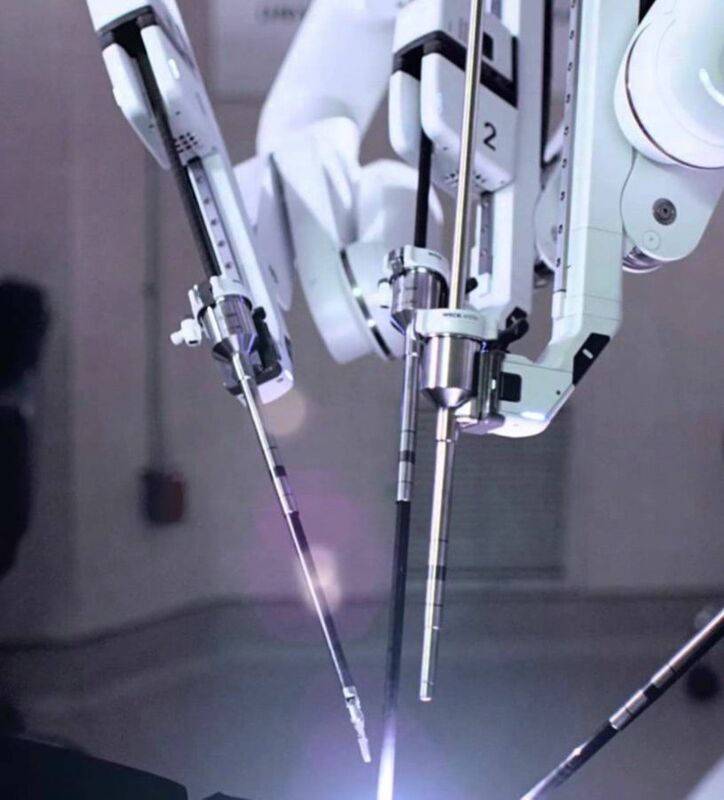 The vision of the Center for Advanced Robotics Surgery is to be a nationally and internationally recognized multi-disciplinary robotic surgery program that is a leader in new and innovative application of robotic technologies that translate into high quality Patient Care, Education, and Research.